The Google Chromecast is one of the best streaming players for home users. It is also flexible to work with a variety of devices which makes it extremely portable. You can take it anywhere you go and can enjoy the content on your screen through it. 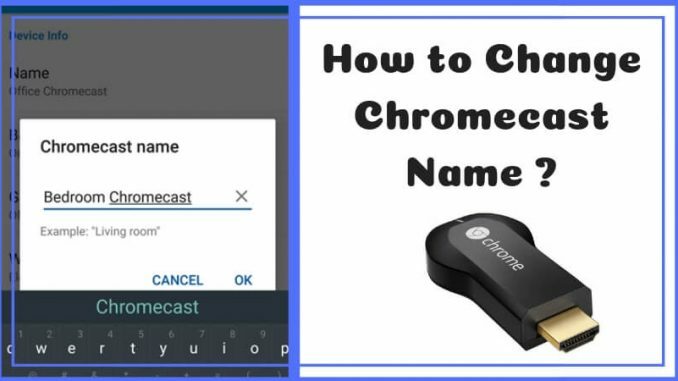 If you are a regular Chromecast user or using it for the first time, then you should know that when you set up the device for the first time, then you have to give it a name. You can even change the name of Chromecast anytime you want. It is a simple procedure. Let’s have a look at it. How to Change Chromecast Name? One advantage of changing the Chromecast name is that you can identify it easily among the other connected Google devices. You can do this process quickly & easily using your Android or tablet. 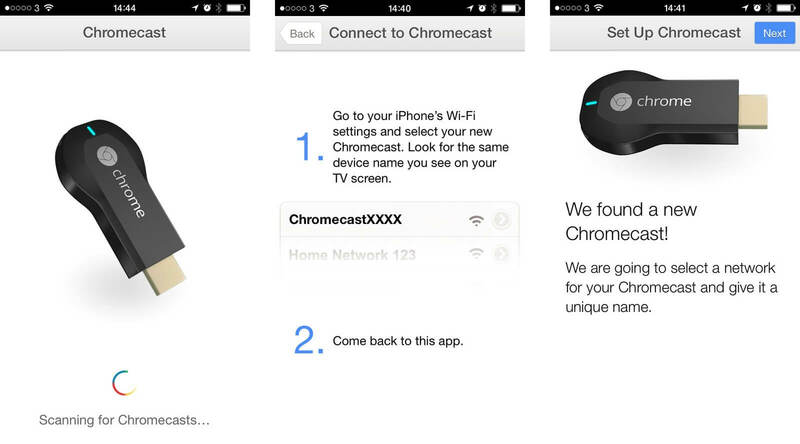 As Google Chromecast does not come with remote control, you can use your mobile device as a remote. Remember that you can use up to 24 characters while naming or renaming the Chromecast. Here, I will provide a reference for my Chromecast device. Its current name is ‘GC001’ which I will replace with ‘GC025’. We will use the Chromecast app to rename the device. 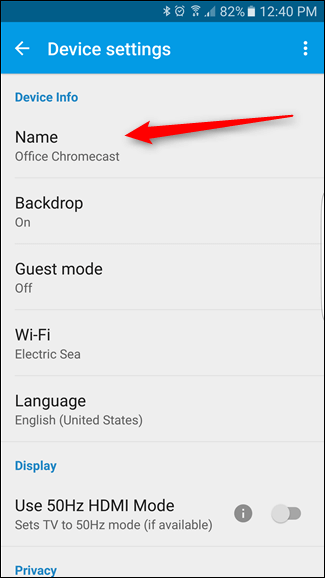 Follow the steps below to change the Chromecast name. Power on the Chromecast and connect it with your Android phone or tablet. If you want to see the output process on the screen, then power on your TV as well. ‘Google Home’ is the official application for managing the Chromecast device. If you have not installed it on your phone, then get it from Google Play Store and open the app after installing it. Connect your phone or tablet to the same WiFi network that you are using on your Chromecast. After you open the app, it will automatically search and detect the available devices on the network. If you have made the proper connections, then your Chromecast app will also be listed there. When you see the name of your chromecast device on the mobile screen (in my case, it is ‘GC001’), tap on it. 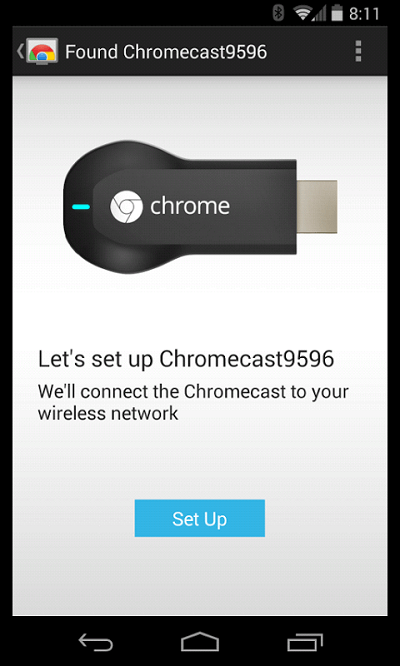 This process will create a connection between the mobile device and the Chromecast. If the connection is successful, you can see the details like Name, WiFi, Time-Zone, etc. in the Chromecast settings on your phone. It is the screen where you can rename the Chromecast, change the WiFi network & timezone, share the data of your device, etc. Here, we will only change the name of the Chromecast device. Tap on the ‘Name’ option on the screen of the Chromecast settings (here, “GC001’). A popup screen will appear. Now, enter the name which you want to give to the Chromecast (I am giving it ‘GC025’). You can now see the new name of the Chromecast on the mobile screen and the TV as well. With the help of Google Chromecast, you can watch the content from YouTube, Hulu, Netflix, and other platforms. You can even mirror (stream) the content directly from your Google Web Browser on the screen with the help of it. When you initially set up the Chromecast, you have an option to give it a name. But, many users avoid this thing, especially when they are not using any other Google devices. After you start using more than one of them, then it will be beneficial to give different names for easy & quick usage. You can rename the Chromecast streaming player based on the place where it will be used like the bedroom, main hall, etc. or any other relevant name that you think will suit your device. The choice is yours. Like the name, you can also quickly change the time on Chromecast as well as the WiFi network connected to it. Which name did you give to your Chromecast device? Share it in the comment section below and show your creativity!